Leachie geckos live high in the tree tops of humid forests, where they are active only at night (nocturnal). Also known as New Caledonia giant geckos, these lizards are the largest geckos in the world. Leachie geckos use a unique language of whistles, chirps and growls to communicate. 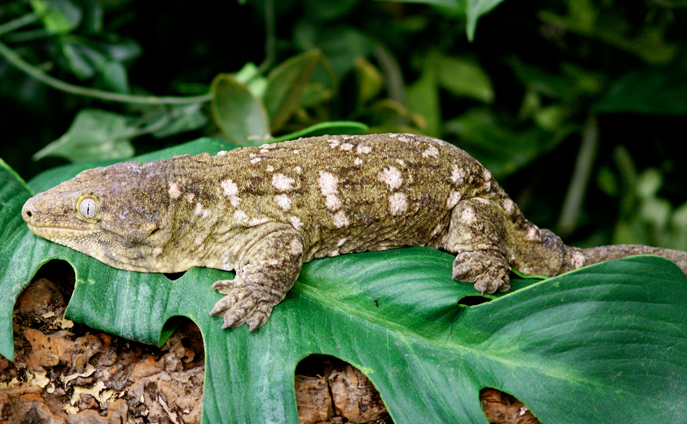 The loud grunts and growls they make have earned leachie geckos the nickname “devil in the trees”.